Some of the most creative people we have worked with were students working on their class projects. I enjoy giving tours of our family’s factory to fashion students because they are the next generation of designers. 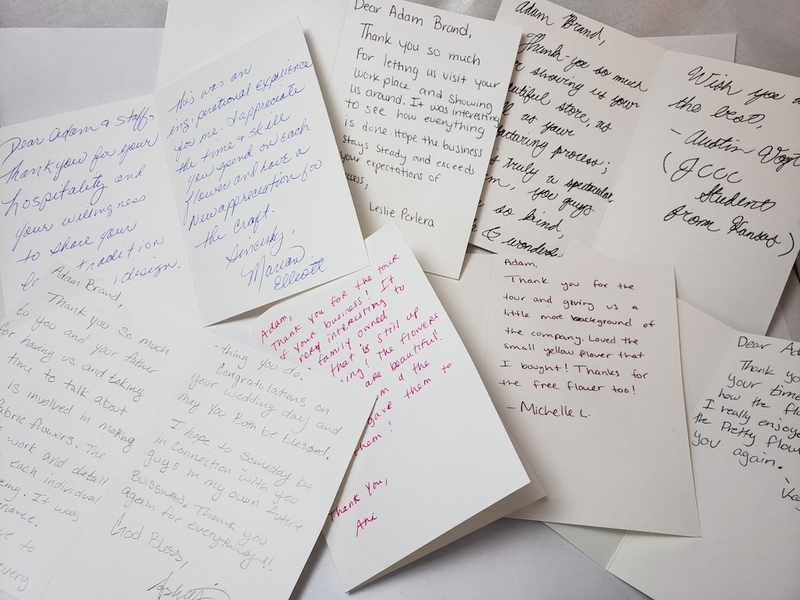 We appreciate these Thank You cards from the fashion students at JCCC who visited us from the state of Kansas.